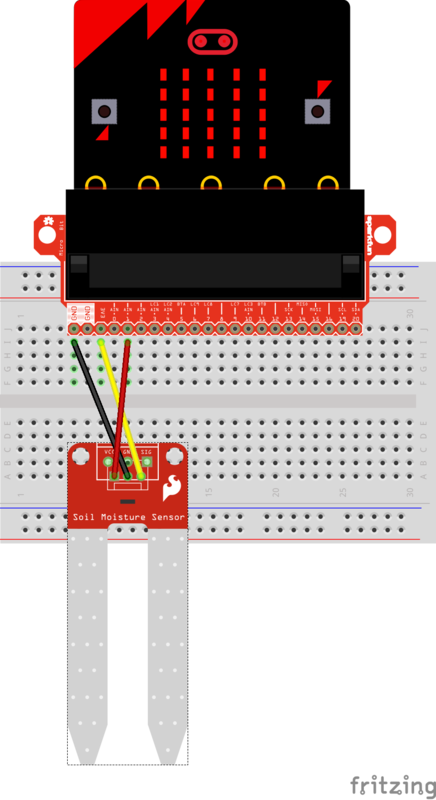 In this project you can use wires or a breadboard to connect a micro:bit to a sparkfun moisture sensor. You may need to solder on three headers to the moisture sensor to get it to work. 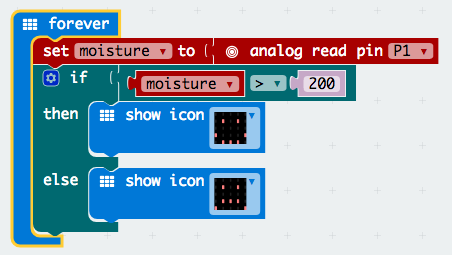 Use wires to connect micro:bit to moisture sensor. Use diagram for guidance.